For the first $200 you donate, you’ll get 15% of it back in cash on your tax return. For anything above that first $200, you’ll get 29% cash back. For example, if you donate a total of $700 during the year, you’ll get back 15% of $200 (or $30) plus 29% of the excess $500 (or $145) for a total of $175 cash! Since all Canadians were born equal (or so the federal Government says! ), this is a federal tax credit and is therefore equal for all Canadians. It’s just an additional incentive created to encourage Canadians to give to those less fortunate than ourselves and to causes for which we care. Which brings us to Movember. Created in Australia 9 years ago, it has blossomed into a worldwide phenomenon in which moustaches are grown during the month of November to raise awareness for men’s health issues, including prostate cancer (and now other cancers). 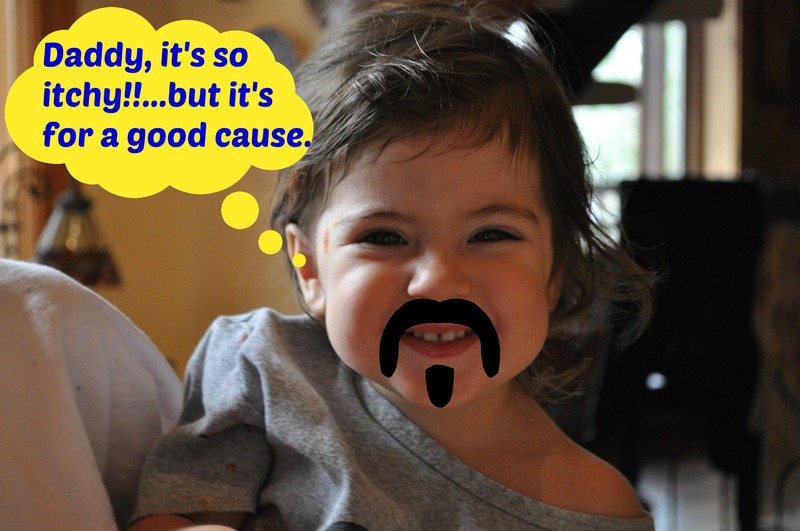 As of 2 years ago, Canadians are the largest contributors to Movember charities…so good for us, ay???!!! I’d like to give a quick shout out to a fellow Twitter Dad blogger @CanadianDadBlog who’s got a Canadian Dads Movember Team looking to match or exceed the $12,000 they raised last year. Good luck Chris! Now get out there, get those personal donations above $200 and get that to that 29% cash back level after filing your taxes in April! Even my baby is helping out! Previous Post Tax Tip Tuesdays with The Fuzzy Accountant!